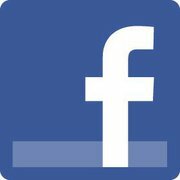 Splendour eye: See who viewed your profile on facebook !! Well, that is just a SPAM ! See who viewed your profile on facebook !! Well, that is just a SPAM ! Now a days you see lot of posts on your wall and your friends' wall stating something like "OMG OMG Now you can see who viewed your profile, click here !!". Everyone is curious to know who follows us. So most people click on that link. Now the game begins ! Once you click on that link and permit that application to access your account, a similar kind of post is sent to your entire friends list !! wow, thats freakin' !! I had a same experience once. There are other similar kind of spam which ask you to post that message on 5 different places on facebook and then to complete surveys. But your never get to see who viewed your profile ! Truth is, there exists no such application or script on facebook. All application that promise to show you your profile viewers are spam and are even dangerous sometimes. Please stay away from that kind of applications and don't click on such links. Recently, It tend to log out when I go to my profile page even though I hadn't clicked on any such links ! After going through facebook's help page, I found out that virus was spread through friends who clicked on such links and only way to prevent was to block them ! !